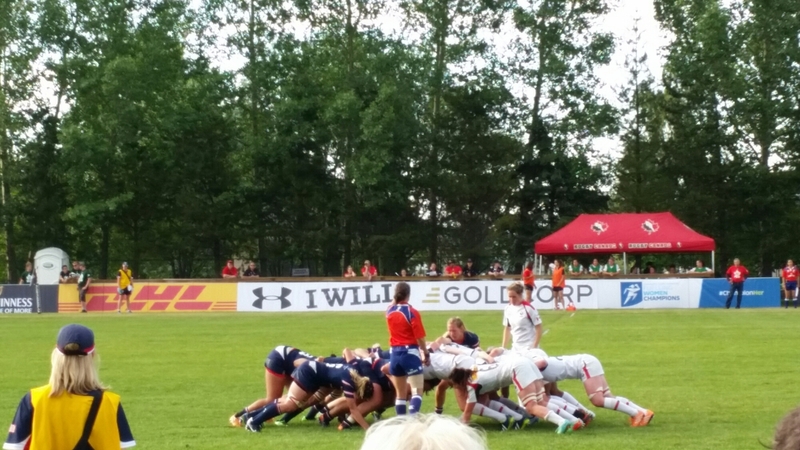 How do you provide audio for the audience of an entire rugby field? 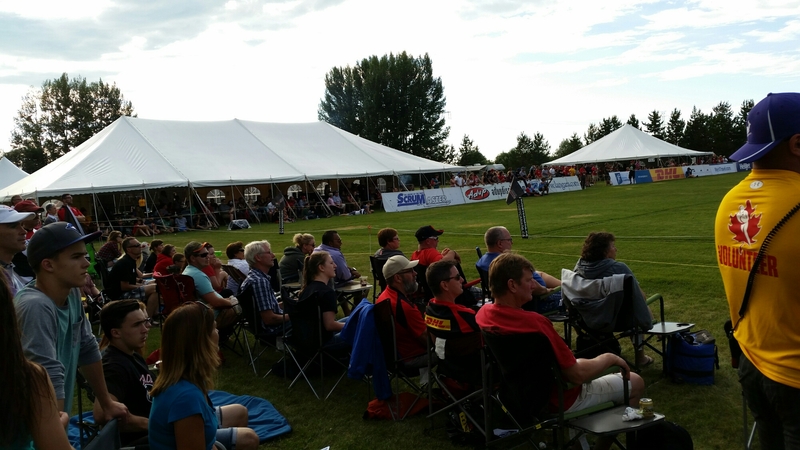 We were fortunate to be a part of Rugby Canada’s super series events in Calgary, Red Deer, and Edmonton and i certainly have an appreciation for this sport now. We provided sound production for a live performance of the national anthems before each game and played music to pump up the crowd between plays, before and after games, and for half time. Drawing power from silent generators we ran over four hundred meters of cable in a safe area between the audience and the field to amplify audio through twelve powered QSC wedges. In Calgary since the stadium seating was elevated eight to ten feet, we arranged the speakers on heavy duty steel crank stands, lifting them into the right position. In stead of running even more cable behind the goal line and along the far side, we transmitted audio from the console wirelessly to the second speaker row on the other side of the field. It was certainly worth overcoming the challenges of the space to satisfy the tournaments patrons.